With the Youngstown State University men’s basketball team going through a grueling summer and fall of practice, it saw its first live action. 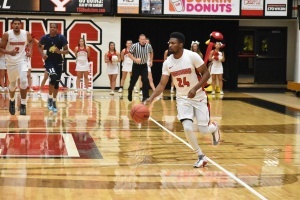 YSU faced off against Division III Thiel College in Hurricane Relief Exhibition Game. YSU won the game 106-74. Bohannon shined in his first collegiate action with 13 points, 11 rebounds and seven assists in just 16 minutes of play. Bohannon also said that when he got the call from Coach Jerrod Calhoun in April, he was excited because he loved the style of play. 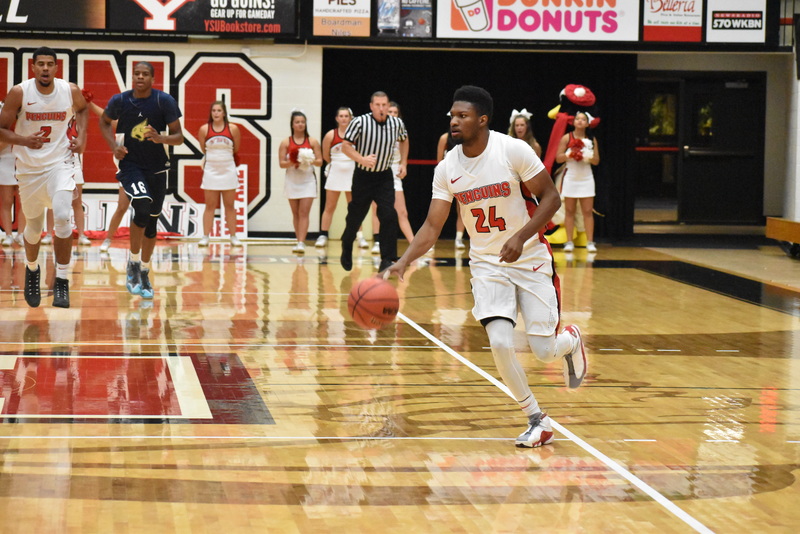 For YSU, it was all about getting turnovers and getting out on runs in the open floor. YSU did that well in the first half leading 57-30. YSU caused 19 turnovers and scored 22 points off those turnovers. Calhoun said that he believes the other win was seeing how his guys will play together. One of YSU’s biggest problems came with free throws and fouls. YSU shot just 10/18 from the line and fouled 15 times in the half. Calhoun also said that he could tell that the team enjoyed playing with each other. His goal is to never stop getting better each and every day with this team. In the second half, it was more of the same for the Penguins. YSU’s press style is very unlike most teams and that flustered Thiel quite a bit. Morse also said that because of the style of play, it will help everyone plus himself get easier shots. Morse did his usual with 10 points and three assists in 14 minutes of play. 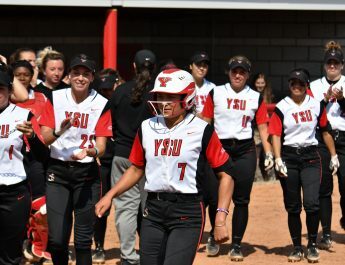 YSU now has another scrimmage before its first game against Kent State University at the University of Akron.